I like these books and I think they’re great for beginning ship modelers. I’ve been ship modeling for 20 years, but each one has a place on my bookshelf. Each modeler has his or her specific interests in style of modeling and style of instruction, etc., so your milage may vary. But, it’s a place to start. These are listed in no particular order. Ship Modeling from Stem to Stern by Milton Roth. This is a good overview book of the hobby. There isn’t much instruction in the way of “How-To”, but there are lots of examples and tidbits of information that will give you an idea of what is involved in ship modeling. The only downside of this book is that it’s been around for a while and it contains a lot of info on products that no longer exist or companies that have long since gone away or moved. Still, it’s a great look at ship modeling. The Neophyte Ship Modeler’s Jackstay by George Campbell. A good very basic guide to building a solid hull model using very basic tools and techniques. The best thing about it is that’s a very simple book and very inexpensive. A lot of the techniques shown are simple scratch building techniques that often aren’t necessary when dealing with today’s kits. Still, it’s a great beginning book and a must have if you’re starting with one of the many older kits that are available through Ebay. Historic Ship Models by Wolfram zu Mondfeld. This is an all encompassing book that doesn’t really teach you how to build models, but rather what the details should look like on your 17th century galleon or your 19th century frigate or what have you. Lots of drawings, lots of descriptions and comparisons of various details through the ages. A good first stop when you need to look up something. It also provides a language translation that can help out when building some of the European kits. This is actually one of my favorite and most used books. Ship Modeling Simplified by Frank Mastini. A very basic guide that is especially suited to first time builders of European kits. Like with Mondfeld’s book above, it Includes a glossary of terms in the back in multiple languages. One neat thing about this book is that it’s available for your Kindle. I’m finding that I’m not a huge fan of ship modeling materials on Kindle or Apple’s iBooks bookstore since you can’t print the tables and diagrams to put on your shop wall. But, still, it’s kind of neat to be able to access your library wherever you go. Boat Modeling the Easy Way: A Scratch Builder’s Guide by Harold “Dynamite” Payson. This is a scratch modeling guide from beginning to end. Payson has a very specific style of modeling boats and small craft, bread-and-butter style. So, this might not be for everyone. But, the book is very good and seems to cover the topic well. It covers several specific craft and includes plans for them. Even though Harold Payson passed away in 2011, I believe someone is still continuing his business and that plans for the models are still available. How to Build First-Rate Ship Models from Kits by Ben Lankford. This is a nice resource for the beginning ship modeler. This a Model Expo publication, and appears to be basically a compilation of information and drawings that appear in the instructions for their Model Shipways line of kits. Those instruction books, by the way, are a great resource, because they are in pdf format and freely downloadable from Model Expo’s website. Just navigate to the Model Shipways kit you’re interested in, click on the Documents tab and click on the link to download the instructions. As they are in pdf form, you can also throw them into iBooks on your iPad and then you can access them anywhere you go. For this, I had to give some thought to the definition of an “Intermediate Ship Modeler”. To me, an intermediate modeler is one who has the basic knowledge to construct a model and is focussing now on larger, more complicated subjects, or on more accurate details. The Intermediate Ship Modeler is ready to go beyond the beginning books and pick and choose bits and pieces out of advanced books to incorporate in his or her models. But, there are some books that might specifically be considered intermediate books. I’ll detail these over the next couple weeks. Planking Techniques for Model Ship Builders by Don Dressel. I always felt this book was mis-titled and should be Hull Building Techniques for Model Ship Builders instead. But, even that’s not really correct. The organization of the book is a little bit odd with things like interior lighting and gun ports covered in the chapter on deck planking. Still, it does contain a lot of useful information and includes some rare photos of models in various stages of construction by well known modelers like Henry Bridenbecker and Ed Marple (both of whom have long since passed away). Rigging Period Fore-and-Aft Craft by Lennarth Petersson. A Visually oriented guide to the rigging of smaller vessels. Specifically illustrates the rigging of three ships: An American schooner, a British Cutter and a French Lugger, all around 1800, give or take. This is a great visual guide with very little text and lots of very detailed, very clear drawings. Don’t rely on this for all vessels of these types. There are many variations of all of these rigs, and I think the schooner rig here is not necessary typical. But, this will help you if you’re not sure what you’re doing. This books is something of a companion to Petersson’s book Rigging Period Ship Models, which deals specifically with the 3-masted ship rig of the late 1700s and early 1800s. Ship Modelers Shop Notes, Vol I and II by the Nautical Research Guild. 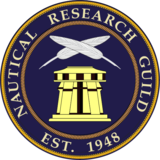 This is a collection of articles from past issues of the Nautical Research Journal. Each book is broken up into chapters on general topics, each with individual articles on specific subjects. For me, the first book, published in 1979, is a must have. It includes many articles by such well known authors and ship modelers like Harold Hahn, Howard Chapelle, Thomas Hornsby, Ben Lankford, Merritt Edson and others. The second volume was a much later publication, coming out in 2009. There is naturally some overlap in subject matter, but all in all, the newer one does not supersede the older one, it really just adds to it and complements the first book and has the same overall look and feel. By the time you’ve reached the level where you’re looking at books for “Advanced” ship modelers, you’re probably not going to be looking at a list of general recommendations. Also, you’re probably looking for books on specific vessels. But, here are a few that I think are generally useful or books that I specifically like. Of course, any listing like this should mention The Anatomy of the Ship series, Lee’s Masting and Rigging of English Ships of War, 1626-1860, David Antscherl’s series on Building the Fully Framed Model, and any book published by Sea Watch Books. But, here are some titles that stand out to me. Seamanship in the Age of Sail by John Harland. This is a very good reference if you ever need to know how a ship was actually sailed so you can build your model accurately configured. It’s also just fascinating to read through to give you a better understanding and appreciation of what it takes to maneuver these square riggers. Published by the Naval Institute Press. Waterline Dioramas, A Modelbuilder’s Artform by Justin F. Camerata. Published by Sea Watch Books, this is a very thorough book on the topic of building your model with figures in an active ocean setting. The author spends some time giving the science of wave dynamics to give you a thorough understanding so you can make the most realistic scenes possible. Includes a section on making small figures for your model. Also has a nice section showing examples of dioramas by a variety of well known and talented ship modelers. Titles by Ancre Books. I’ve now collected four books published by this French company, which is enough to tell you that the quality of the plans they publish is amazing, and the the text is well researched and written. All of the books are available in French, but many are available, translated into English. At one time, many titles were available through Pier Books. But, they went out of business some years ago and now titles must be purchased direct from Ancre. The Art of Shipmodeling by Bernard Frölich is a beautiful and inspiring work published by Ancre. I’ve been envious of a fellow ship modeler’s copy, and finally found and purchased a used copy at a Nautical Research Guild conference a couple years ago. There are many advanced techniques here that I am anxious to try at some point. There are some books that are not specifically about ship modeling, but are something in a special class by themselves. They may be of specific interest to some modelers, but aren’t necessarily of interest only to ship modelers. Japanese Wooden Boatbuilding by Douglas Brooks. A fascinating book about traditional Japanese boats. Author Douglas Brooks is an American boatbuilder, but has studied through five apprenticeships with Japanese master boatbuilders to preserve their knowledge and learn their skills. This book discusses the tools, techniques, materials and culture behind the making of the traditional watercraft. In some places, the information gets very specific and a little technical, but the whole book is sewn together with a wonderful narrative of the authors experiences, giving us a glimpse of what it is like to be an outsider being brought inside this fascinating world. This is a fascinating read, even if you aren’t ever planning to build a real Japanese boat or model of one. If you purchase your book from the author, you will help support continued research, plus you will be able to get your copy personally inscribed. Visit Douglas Brooks Boatbuilding.